Benjamin Robinson, Ph.D., is responsible for strategically leading and operating the School of Business. 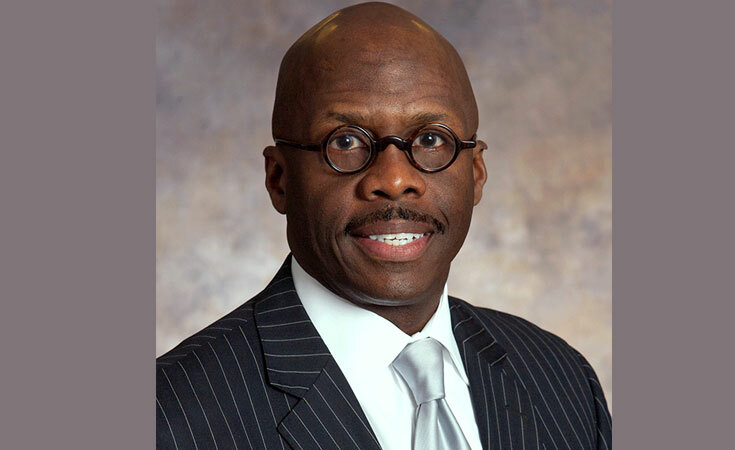 Robinson held a number of executive roles at Prudential Corporation, most recently as senior vice president and chief administration officer for Prudential Annuities. Prior to joining Prudential, he held executive positions at Bank of America and MasterCard International. Earlier in his career, he was a Congressional Advisor to the U.S. House of Representatives Committee on Banking, Finance and Urban Affairs. He also is a member of the Executive Leadership Council and the Society of International Business Fellows. Robinson was appointed by Federal Reserve Board Chairman Alan Greenspan to serve as a member of the Federal Reserve Board, Consumer Advisory Council in 2003. He has been featured in The Wall Street Journal, and Ebony Magazine named him one of America's Future Leaders. Robinson is internationally recognized in his field. He earned a Ph.D. in philosophy from the Union Graduate School, a master’s degree from Trinity College, and a bachelor’s degree from Bates College.